The CoolSculpting™ Advantage procedure eliminates stubborn fat safely and effectively, without surgery or downtime. CoolSculpting™ Advantage results are proven, noticeable, and lasting, so you’ll look and feel great from every angle. While Dr. Kongsiri’s patients tend to consider CoolSculpting a relatively comfortable treatment, CoolAdvantage is even more so. In a clinical study, data shows that CoolAdvantage’s new cup design led to a 45 percent increase in patient comfort. When asked, 85 percent of study participants preferred CoolAdvantage. By changing the shape of the applicator cup to increase direct tissue contact and lowering the temperature, the CoolAdvantage applicator delivers safe and efficacious results in just 35 minutes. CoolAdvantage’s newly designed applicators have been specially developed to be effective on all bodies of all shapes and sizes. Since welcoming these three distinct and interchangeable applicators into her St. Petersburg practice, Dr. Kongsiri is better able to address her patients’ most challenging curves and contours. It comes down to science. Fat cells freeze at higher temperatures than surrounding tissues. CoolSculpting™ Advantage technology safely delivers precisely controlled cooling to gently and effectively target the fat cells underneath the skin. The treated fat cells are crystallized (frozen), and then die. Over time, your body naturally processes the fat and eliminates these dead cells, leaving a more sculpted you. You literally can reshape your body! A Coolsculpting Certified Consultant will develop a customized CoolSculpting™ Advantage treatment plan that addresses your problem areas. Together you can determine how many sessions you want. Your individualized treatment plan will be tailored to your body, your goals, and your budget. The CoolSculpting™ Advantage fat freezing procedure is completely non-surgical, so you can typically return to work and normal activities immediately. Now what happens? When will I see my results? 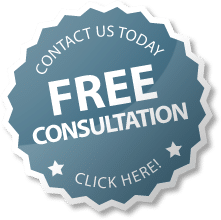 Contact us today at 728-388-6982 Ext 301 or 302 to schedule your Complimentary Consultation and find out if the CoolSculpting™ Advantage fat freezing procedure is right for you! Contact us today at 728-388-6982 Ext 301 or 302 to schedule your Complimentary Consultation !